I hike in the mountains near my house in Andalucia (southern Spain) and in summer go down to the coast to swim as often as I can. My husband and I have several very good friends who we have dinner with regularly, and this often involves cooking together with them. It’s great fun. I like to ride horses and look at birds. I read a lot of history, in addition to novels and newspapers. And I keep close track of politics in Europe and the US. When I was in second grade. I never had anything published, though, until I was in graduate school. I published two academic books and many academic articles, but I’m embarrassed that I didn’t start writing from my heart, so to speak, until later in my career. That’s when I published my memoir, Fighter Pilot’s Daughter, that just came out in paperback; and at the same time I’ve been working on two novels, The Stars Over Andalucía and The Time Keeper’s Room. One day about fourteen years ago I heard a voice saying It’s really the best hardware store in the mountains. I thought somebody might’ve said it, but it turned out to be a line in my head. For some reason I listened to it and wrote it down. I’d heard random sentences and phrases like that many times before but never took them seriously. This time, the sentence wanted to be heard and remembered. It was the beginning of my life as a fiction writer. I’ve learned from it to try hard to listen to words and lines circulating in my head that come into audibility, wherever I am and whatever I happen to be doing. I’d like to go to a particular artists’ residency in Ireland. It’s beautiful and quiet there, and you can spend long hours doing nothing but imagining your characters, following their stories, and writing them down. I’d write! Then I’d go for a swim in the sea or a hike in the mountains. What an interesting invitation to think about this. I’d like to try to set a story in or near Allentown, Pennsylvania, where I live for part of the year. Allentown has always been a workplace for me, not a place where I go to have fun. I’d like to have a deeper imaginative life there, and this would help. Perhaps it would be a story about a girl who finds she has the ability to see not into the future but into the deep past. She wouldn’t have prophetic abilities to see Allentown’s future, but she could fathom the city’s distant past in ways that would help her understand why it’s like it is now. Back to your present book, Fighter Pilot’s Daughter, how did you publish it? I had an agent, Neil Salkind, at Salkind Literary/Studio B. He was wonderful and worked very hard to place the book for me. When Rowman & Littlefield said yes, he kept working to get me a good contract. I was very happy with him and disappointed that he retired (but happy for him). The research I did for Fighter Pilot’s Daughter mostly consisted of my father’s records, printed histories, and online materials I could access through my university library privileges. 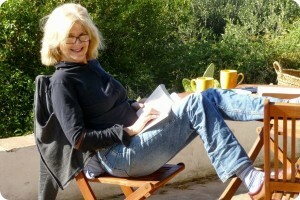 In addition, I had journals, letters, interviews with family members, and photos. Beside these materials, memory was the most important resource I had. I was able to do all this research at home, in the library, and online. 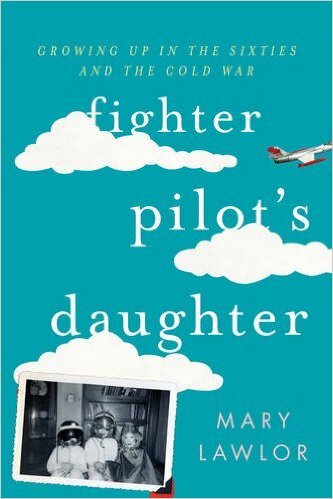 Why was writing Fighter Pilot’s Daughter so important to you? Growing up in a military family meant we moved about every two years. By the time I graduated from high school, I’d been to fourteen different schools. It was exciting, but it was also a difficult way to grow up. For a long time I’ve wanted to map the sequence of moves and of my Dad’s missions; and try to make sense of what it all meant for my mother, for my sisters and myself. And the best way for me to do that was to write it all down, make a story of it. Making a story called for describing the people in my family as if they were characters. It required a plot—not just the sequence of our moves but the dramas that came with them. This demanded a lengthy journey into memory and into the complicated feelings I’d had about these experiences for so long. It also required, or so I thought, some sort of larger focus, something to link my experiences to those of others. I began to think of my experience as bearing on those of military families generally. And I began to see it as speaking, in many ways, to our national experience of the cold War and Vietnam. All the moving was hard on my mother. Every couple of years she oversaw the wrapping and packing of each tea cup and piece of silverware, every book and painting we owned. It was hard for my sisters and me to leave behind friends, and later boyfriends. We didn’t have a stable place to relate to as we grew older and were trying to figure out what kind of people we wanted to be. Growing up with the military also meant my Dad was away a lot. We’d worry about him being in dangerous places where violence was his daily fare. And when he’d come back, we weren’t used to him, nor he us. He was strange and frightening at first; then he’d be wonderful fun. We never talked about any of this, so our house was often a tense, uneasy place and then an almost hysterically joyous one. Writing Fighter Pilot’s Daughter I gave myself the chance to finally “talk” about these complicated experiences and look at them from a distance. The book grew in particular from the confusing feelings I had about the work my father did. As a child, on many occasions I overheard my parents talking about the Distinguished Flying Cross Dad won for bombing missions he flew in the Korean War. They also talked about the nick-name he and his co-pilot were given by a North-Korean radio personality: the killers of Charlie Kahn:. I didn’t know what that meant. I knew my father was a fighter pilot, and I knew what a war was, that people got killed. But there was something unbelievable, unreal about him being called a killer. As a teenager I struggled to understand how I felt or should feel about these things. When I went away to college, I drifted away from my parents and got involved with left political groups and the anti-Vietnam War movement. In 1968 I was in Paris, participating in the May demonstrations while my father was posted outside Saigon. When I saw him again, the resentment between us was powerful. We had huge arguments, and for a year or so we didn’t speak. I wanted, perhaps needed, to write about these things in order to sort out the emotions that were still with me. Much later my parents and I got to be very close, and I’m deeply grateful for that. Being retired from military life, Dad had changed dramatically. He’d been a hearty heavy drinker in his flying days. This stayed with him into retirement until he sought the help of Alcoholics Anonymous. AA and the peaceful life he by the sea affected him and my mother in interesting ways. Dad became more reflective, and I like to think my mother left aside some of her anger for having had to follow him around the world without a house or career of her own. All of this fueled the writing of Fighter Pilot’s Daughter. The book made it possible for me to hold my own feelings out in front of me, see them from a distance. I learned to feel more sympathetic towards my parents and the military culture they believed in. I get my best ideas in the mornings, when I’ve had a cup of tea and I don’t have to be anywhere. Opening the computer, I feel ready to write. The ideas and the words seem to come best then. I think it’s simply because I’ve slept, am rested and open to the images and sounds coming up in my head. I hope readers of Fighter Pilot’s Daughter understand more about ordinary life for service families. Many of the biggest difficulties for spouses and children in the Army and Marine Corps are built into the structures of everyday life in military environments. I hope readers take from my book a sense of how complicated it is to maintain a healthy, optimistic family life when you’re having to move all the time and when a parent has to spend long months away from home on deployments. For all the armed services do for America, they can bear down hard on the lives of soldiers’ wives and kids. And they can make make their lives wildly interesting too, as I hope Fighter Pilot’s Daughter shows.